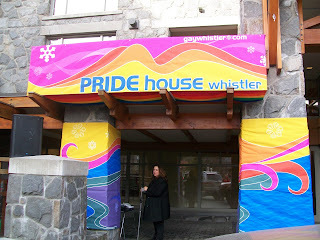 PRIDE house, with locations in the Pan Pacific Whistler Village Centre and Vancouver, made its debut at the 2010 Olympic Winter Games. LGBT athletes, coaches, trainers, celebrities and fans are receiving a warm welcome in its rainbow-decorated pavilions. If you're in the Vancouver/Whistler area, stop in and enjoy this pivotal moment in sporting history. The Pride house is open for the Olympics (through Feb. 28), GayWhistler's WinterPride (March 1-8) and the Paralympic Winter Games (March 12-21).